Upgrade of the 911 system for the City of East St. Louis and purchase of a fire truck for the Village of Brooklyn, Illinois. • Clearance of lots of weeds and debris through new nonprofit called “Clean East St. Louis"
Between 2012 and 2017, the Greater East St. Louis Community Fund established a strategic goal to ensure quality summer programming for the children of East St. Louis and Brooklyn, so it formed the Greater East St. Louis Youth Coordinating Council. One of its goals is to coordinate quality programming for the children of East St. Louis and Brooklyn. 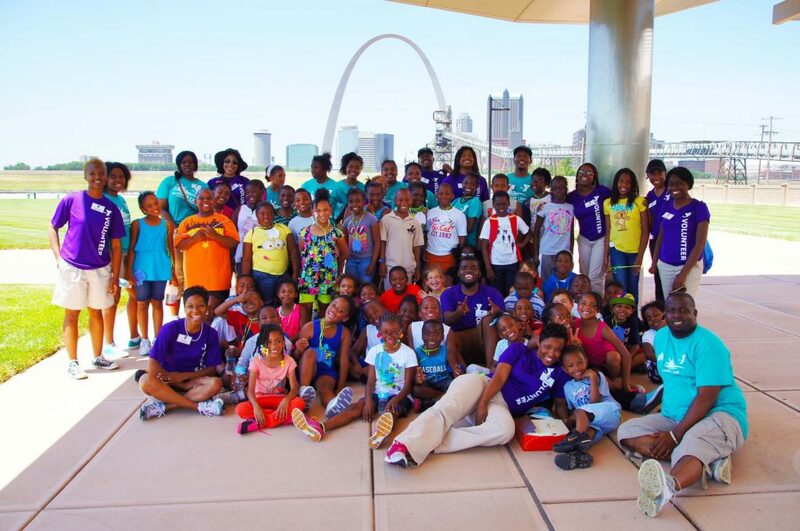 For the summer of 2013, the Council launched the East St. Louis Youth Project. Agencies worked together and sponsored joint training for summer workers. Training covered the areas of first aid, child protection, conflict resolution and songs and chants. The Council further strengthened its tentacles by launching the East St. Louis Youth Project. The Greater East St. Louis Community Fund provided a grant to the Jackie Joyner-Kersee Center for project administration. Agencies then recruited children to participate in a various sports and recreational programs, held in various school locations: Mason Clark, Lincoln Middle, Katie Wright and Jackie Joyner-Kersee Center. There was even open gym time available for basketball for young adults. The program served youth 5 – 22 years of age. The goal of the program was to provide a safe haven with caring adults supervising quality programming. The program operated after summer school and it touched the lives of over 1,200 children. Participating agencies were: East St. Louis School District 189, YMCA of Southwestern Illinois, Lessie Bates Davis Neighborhood House, Jackie Joyner-Kersee Center, Mt. Sinai Family Life Center, Hoyleton and the Griffin Center. The Greater East St. Louis Community Fund thanks Mr. Clarence Goldthree for his unselfish leadership and service to the children of East St. Louis and Brooklyn.